The Central Board of Secondary Education (CBSE) tod ay declared the Joint Entrance Examination – Main (JEE Main) Paper I Result 2018 with Ranks on its official website. Department of Prohibition and Excise, the direct recruitment hierarchy displayed below under the jamadar class-3 and Nirikshak inspector class-3 cadre, on the basis of merit, candidates are requested to submit online-on-line application forms from the OJAS website. For this, the subscribers are requested to go to ojas web-site at 05/2002 / 11/2017 (Lunch 14-00 hours) to dt. An online-line application is required for 18/11/2017 (up to 11.59 hours of time in the night). SSC Result Schedule : 26th April 2018 : SSC has published the schedule of result to be declared by the commission. More Detail Given Below…. 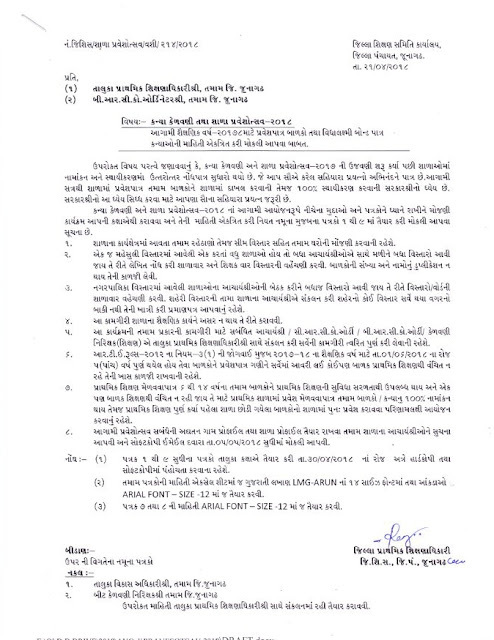 GPSSB Vacant Seats 2018Gujarat Panchayat Seva Pasandgi Mandal (GPSSB) has published Vacant Seats for Reshuffling & Advt. Selected candidates for Various Posts 2018, Check below for more details. Panchayat Vibhag Dwara Vividh Jagyao Bharva Babat latest paripatr. 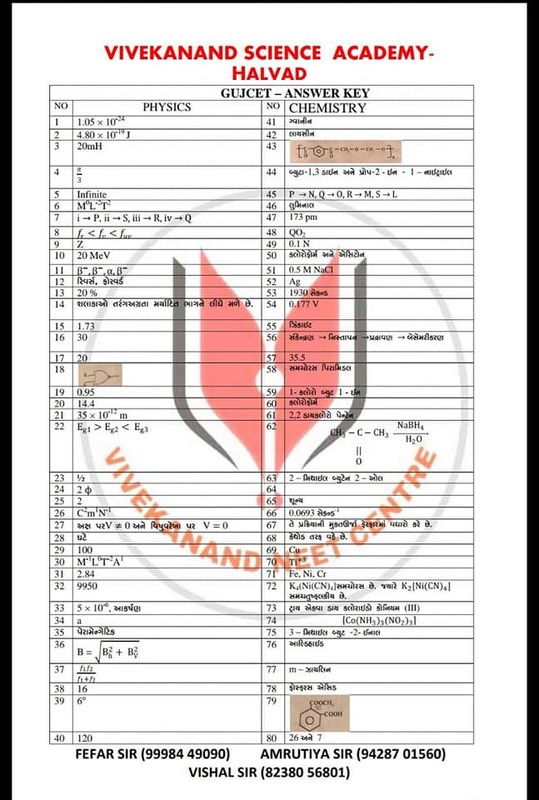 GUJCET MCQ QUESTIONS PAPER SOLUTIONS BY VIVEKANAND SCIENCE ACADEMY. 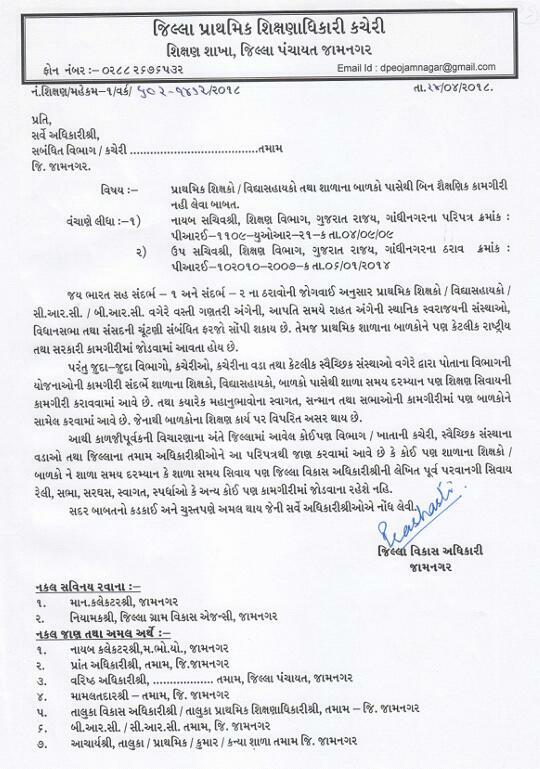 GIR-SOMNATH:- UPPER PRIMARY VIKALP CAMP BABAT LATEST PARIPATRA. Gujarat State Education Board (GSEB) has organized the Gujarat Common Entrance Test (GUJCET) examination in many examination centres across the state of Gujarat. 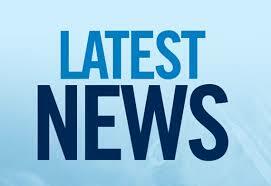 The test has been organized on 23rd April, Monday. The GUJCET examination was organized in many examination centres across the Gujarat state. 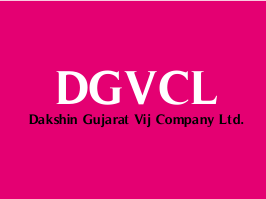 The examination has been held in various districts of Gujarat including Vadodara,Rajkot, Gir Somnath, Kutch, Gandhinagar, Amreli, Dang, Devbhoomi Dwarka, Aravalli, Kheda, Ahmedabad, Junagadh, Dahod, Surendranagar,Panchmahal, Chhota Udaipur, Banaskantha, Bharuch, Anand, Sabarkantha, Patan, Mehsana, Porbandar, Morbi, Jamnagar, Bhavnagar, Botad, Valsad, Navsari, Tapi, Surat districts. Lakhs of competitors aiming to get admission in various courses in the state of Gujarat have competed for the GUJCET examination on 23rd April. All the competitors seeking to check GUJCET answer sheet PDF can download it from the GSEB official portal, gujcet.gseb.org. 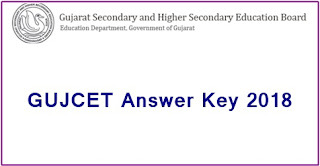 Candidates competed for the test can download the answer sheet/question paper solutions from the GSEB-GUJCET official website to check the correct answers and to estimate the score. Gujarat Common Entrance Test (GUJCET) is the entrance test annually being conducted by Gujarat State Education Board to offer admission into various graduate degree courses based on the rank/merit obtained in the examination. Candidates qualifying this examination will get admission into various professional degree courses. Merit candidates will be given high priority to offer admissions. Candidates clearing the test will get admission for the academic year 2018 -19. Students who just have finished their 12th class/plus 2 are going to appear for GUJCET to get admissions in Graduate Degree courses. Usually, the GUJCET examination will be conducted for 180 marks. It contains 4 different sections Physics, Chemistry, Mathematics/ Biology. Each section contains 40 questions and each question carries 1 mark. Candidates must aware of negative marking. The negative answer opted by the candidates will give a 0.25 less for each question. Candidates who come across the GUJCET can roughly calculate the score that is going to be obtained in the test by comparing the answers given on the answer sheet. 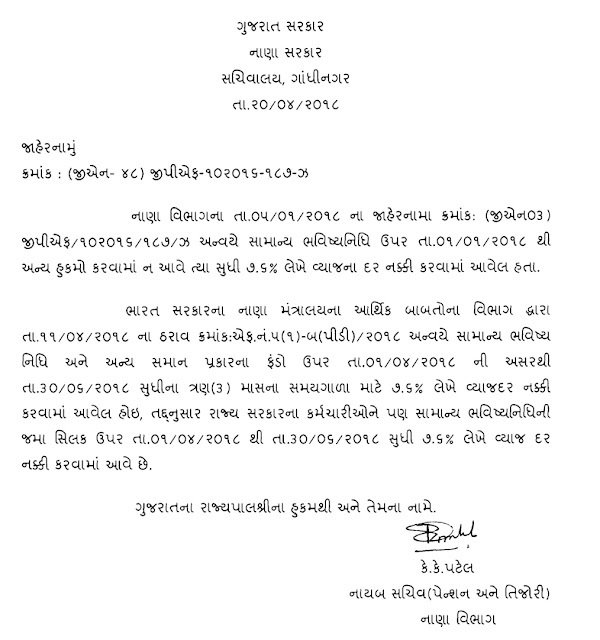 The GSEB is going to release the official answer keys within 3-4 days after the examination. Stay checking the GSEB official portal, gujcet.gseb.org to check the answer key link. Candidates who cannot wait till the official answer key release can check the answers released by the private coaching institutes. Gujarat coaching centres like Allen, Akash Institute, Resource Coaching Institutes and other are going to provide the answer keys soon the examination completed. Candidates can download GUJCET answer key/question paper solutions 2018 for the corresponding set to count and estimate the score. By analysing the answer keys, students will get an understanding of their attempt and rank. So, candidates can download and compare the answers to estimate the score. The GSEB board is likely to release the GUJCET cutoff marks and results after 3-4 weeks of the examination. That is, tentatively the result can be expected in the 4th week of May. Students securing the minimum cutoff marks in the examination will have the chance to get admission in the desired course. The section-wise, category-wise, and overall cutoff marks will be announced by GSEB at the time of results. Aspirants who have appeared for the GUJCET 2018 can download GUJCET scorecard from the GSEB official portal, gujcet.gseb.org at the time of result. The board will announce the rank and score obtained by the aspirants. Candidates who have qualified in the examination will be offered the admission into various courses by conducting the counselling. The GUJCET counselling will take place in June (tentatively). Candidates clearing the test will have to attend the counselling on scheduled dates, where the students will be given admission based on their rank. Unofficial Answer key Sheets for GUJCET Exam 2018 Will be Released by Coaching Institutions in Few minutes, Stay here We will update below.